Hello everyone and welcome back to my blog! Today I had a really fun idea. 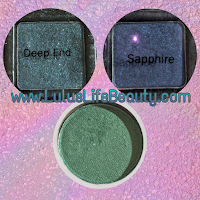 I don’t know if anyone has done this or not before and it sounded like an awesome idea… I let my eleven year old daughter Trinity pick my eyeshadow colors. I wasn’t sure how this would go, she can be kind of crazy lol. Now she didn’t pick a matte all over color or a crease color, so I used my setting powder and my contour cool brown shade. Everything worked out in the end, even though I has some issues blending out the navy eyeshadow. I’ll go into the details when it comes to that part of the tutorial. Let’s get started! Starting out this makeup look today, I primed my eye lids and set them with my setting powder. Like I said, my daughter did not pick out any matte or neutral colors, so I had to make due with what I had lol. For my crease I took the cool toned brown contour color and built up a nice deep crease. 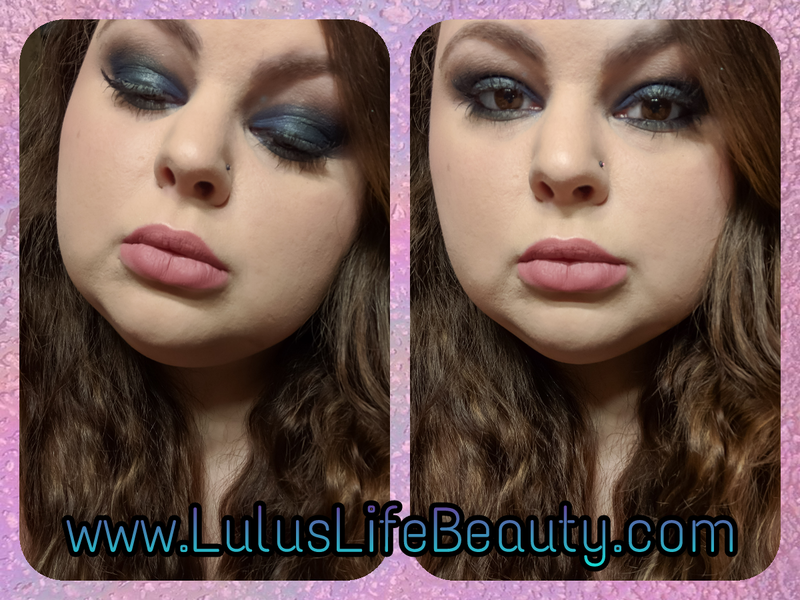 I knew with the navy eyeshadow she picked, I’d need a darker crease to compliment the colors. With the navy eyeshadow, I wet my brush to apply it in the end. I tried it dry and it was looking more black and patchy than navy. This shadow isn’t sold anymore my Ulta, I got it in a holiday train case set. On the center of the lid, I took my ring finger and packed on the color Deep End. 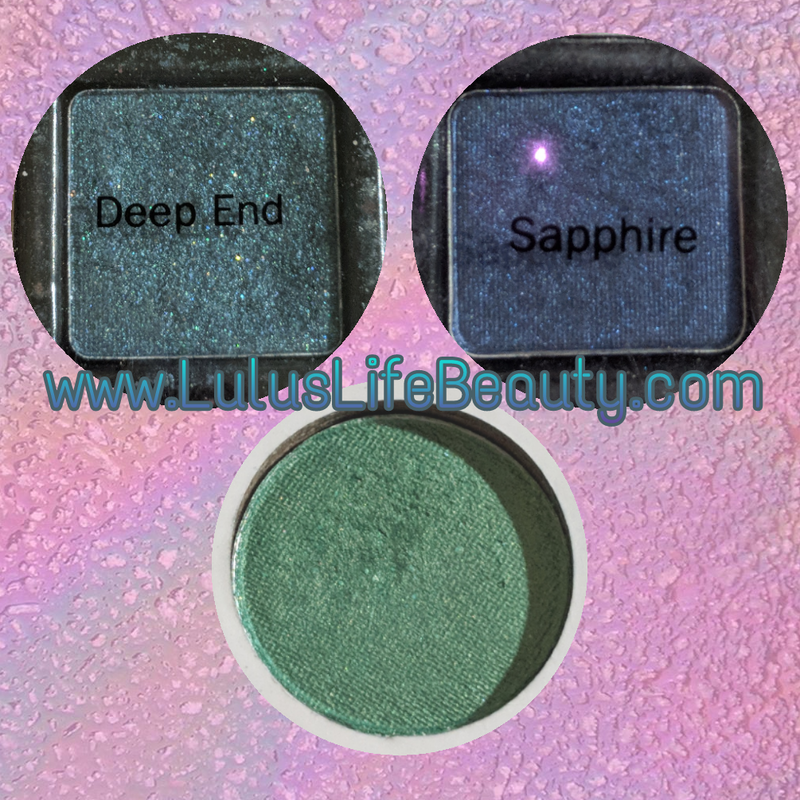 This shadow is a deep emerald green with a holographic glitter in it. I tried it with a brush and it went everywhere. So using my finger was the only option, and there was still fallout because it is a glitter and I don’t have glitter glue. Over top of that I went in with a green from the Take Me Back To Brazil palette, the emerald wasn’t popping against the navy like I wanted it to. Adding the green on top was just what this look needed. I ran a little under my bottom lash line along with the navy in outer edge. For the rest of this makeup, I did my face like a always do. If you would like to see how I do my face makeup, I’ll link my latest makeup tutorial down below. It was a mermaid inspired look. A lot of the products will be the same. If anything is different, don’t worry I’ll have a full list down below of all my makeup products used in today’s tutorial, along with my brushes and tools. 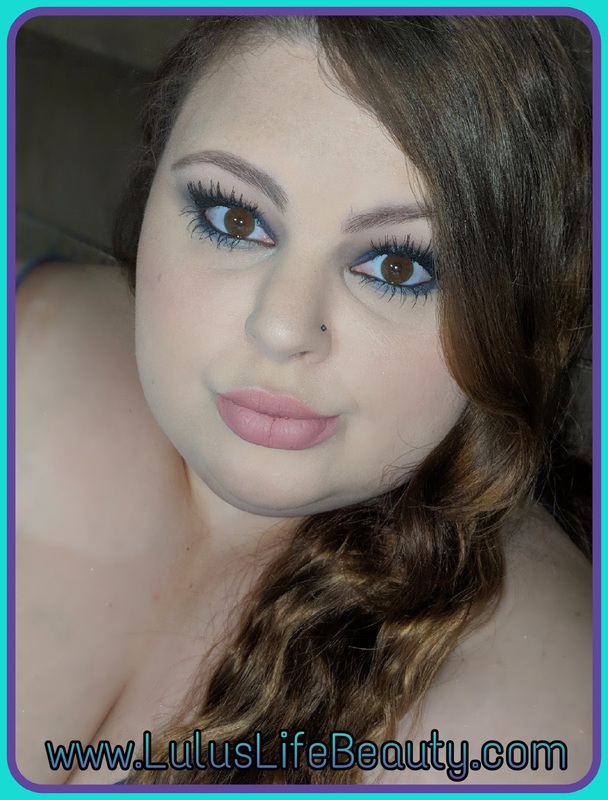 I will have all of my social media links down there too if you feel like following me! I’d love if you followed me and commented and let me know you came from my blog!